If something happens twice a year…one might say it’s semi-annual. Thus, one could posit that this sale, which happens almost precisely 6 months since the last time it occurred might indeed become semi-annual. But no matter what you call it, there are some amaze-balls deals in here. And while my title says all trainers and power meters, the reality is that this applies to boatloads more devices/products too. Historically speaking we see the biggest sports tech sales clustered in two timeframes: November (up to/around Black Friday), and May. Today, it’s now May. 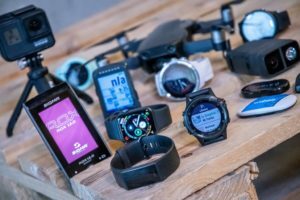 May usually brings sales from all wearable tech companies, as they often try and offload older products ahead of the summer (meaning, there’s no chance of a Fenix 5 sale anytime soon). Within the US, manufacturers have to approve virtually all sales, to stay compliant with MAP policies (Minimum Advertised Price). Said MAP concept doesn’t exist elsewhere. So in the case of the Garmin sales below, those fall into bucket ‘B’ above. whereas everything else in this post falls into bucket ‘A’ above. Make sense? Good. So we’ve got one major sale here being driven by Clever Training for 20% off, though we’ve actually got a Garmin/Fitbit/TomTom sideshow sale on a handful of wearables as well. Most of these are ‘older’ models, though I don’t expect replacements for these near-term. Either way, I expect this to kick off other sales in May from other companies. At least, it’s worked that way every year I’ve been writing this blog. Whereas everything else below runs until May 10th (10 days total, that’s it!). 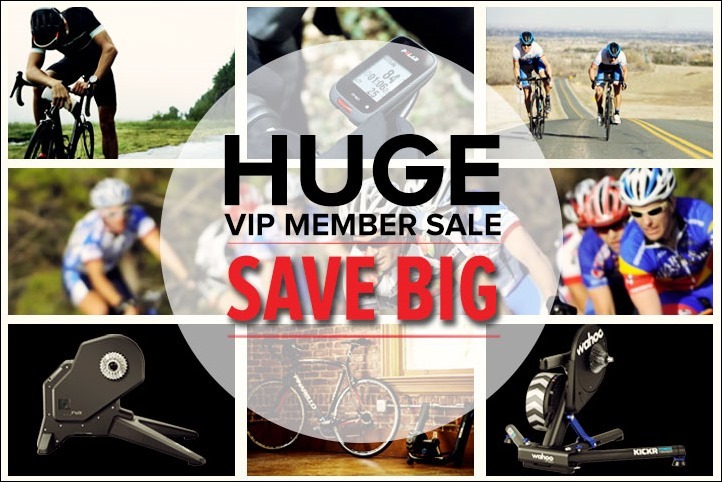 In this sale, each Clever Training (CT) VIP member is given a coupon code (THANKSVIP) that’s good for 20% off a single non-sale item including all trainers and power meters. It doesn’t matter if that item is the Wahoo KICKR2, a WatTeam power meter, or gel packets. Your choice, but it’s only available to CT VIP members. 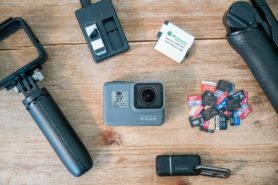 There are a handful of limitations, most notably that it’s not valid on non-Garmin Vector Garmin stuff (Vector itself is allowed), GoPro, Fitbit, and a few others I list down below in the restrictions. 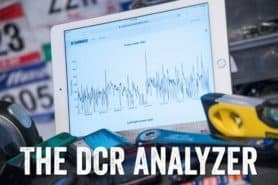 Power Meters: You’ve pretty much seen all there is to see on new power meter announcements this season. The next time we’ll see meaningful power meter announcements is Eurobike/Interbike in September (usually for shipping months later). The only thing coming up may be whatever bePro has been teasing on their Facebook page – though we don’t know announcement timeframes or availability timeframes (let alone accuracy testing/etc…). So basically – if you want a power meter for this year and want to save 20%, it won’t get better than this. Trainers: Trainers are trickier. 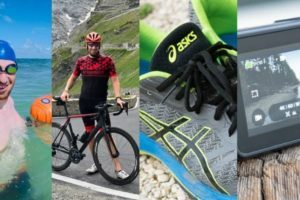 We typically see new trainers announced at Eurobike/Interbike, though last year we saw some announced over the summer. 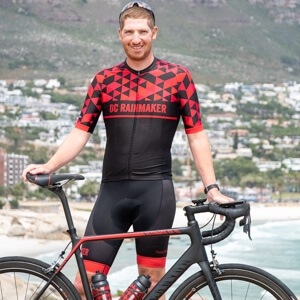 However, none were available earlier than Eurobike (only the new Wahoo KICKR2 and Elite trainers managed to be available then), while virtually everyone else was delayed into December and beyond. Despite these companies’ best intentions to be shipping in August/September, it just didn’t happen. I think in general last year was a bigger year for new trainer announcements than 2017 will be. Certainly, we’ll see some, but not nearly the extent that we saw last year. Meaning, if you see an option on the market you like today – go for it. If however you want the latest and greatest next fall and don’t mind waiting until November or December for availability…then hold your cards. Here’s my Winter 2016-2017 trainer recommendations post, which still holds true today. Sign-up as a Clever Training VIP Member here. Complete that first. Then come back and pick your item of choice out (see below list as starter point). Add members-only coupon code (THANKSVIP) upon checkout to save 20%. There are too many deals to list, because obviously that’d be tens of thousands of items that Clever Training carries, even running shoes and other sports gear. But you can find all power meters Clever Training carries here on their power meter landing page. And all trainers Clever Training lists are carried here on the trainer landing page (it’s basically everyone). So you’re probably wondering about that VIP requirement? That’s basically akin to what REI does with their twice-yearly members-only sale. Except in this case the Clever Training VIP membership only costs $4.99. And the proceeds of that go to ‘Girls On The Run’, a running focused charity. So it’s basically a win-win. You get a massive savings, and an awesome charity gets supported. And of course, your gadgetry purchase helps support the site here (as all Clever Training purchases do). How many items can I get a discount for? One item. Just one, and only one. No, it’s one item per member. Thus, if you have multiple unique VIP members in a household, then you can have multiple people. You can sign-up to be a Clever Training VIP member here. I explain more of the details here. Which brands doesn’t it work on? At this time, it’s not valid on Garmin (except Vector), GoPro, Yeti, Maui Jim, and Fitbit. Also, the Wahoo ELEMNT/ELEMNT BOLT and Wahoo Desk are excluded. The KICKR SNAP is also currently excluded for the simple fact that there’s currently no inventory expected till summer. In the cart it says it doesn’t work? Validate that you only have one item in the cart, and that it’s not one of the above listed items. Also, validate that you’re a VIP member first. Do I get VIP points on top of this? No, since it’s a large sale item. No double-dipping here. Are there some fancy details I can read somewhere? Yes, right here (middle of page, some text). May 10th, 2017 at 11:59PM US Eastern Time. What happens when it ends? It’s over. End of the road. Time to eat Snickers bars. Yes, US shipping is free as long as your order is over $49. For items that can be shipped internationally, it’s $29 flat rate. Generally speaking, trainers can’t be shipped internationally. Is this the end of the FAQ section? Phew – there ya have it! Go forth and enjoy. And feel free to drop any questions you have down below on recommendations, etc… I’d be happy to try and help ya out. Thanks for the support! Will this work for Clever Training UK? Same question here. Works also with Clever Training Europe? Unfortunately not in this case. With CT UK unrestricted by MAP policies, they’re able to get much lower whenever they want, versus the US side being hamstrung by said policies. It shows it works on the soon to be released polar m430. 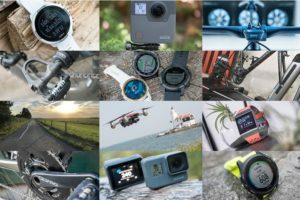 With the Garmin 230 already on heavy discount on the likes of amazon, which device would you prefer to have going Forward assuming you are also using a Stryd foot pod? It’ll depend. 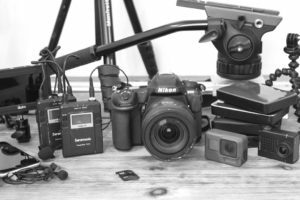 In many ways the M430 is a catch-up device to the FR235 (adding optical), so there are pluses and minuses to each. One thing to consider is whether or not you care about any of the Connect IQ apps on the FR230/235 side. The only Polar watch that works with Stryd is the V800. Your decision is an easy one. Get the Garmin 230. You’ll have access to the Stryd CIQ app, and the Stryd power data field. Thought I would let you know that Saris is going to have some sales in May also. Most of their Bike racks, and also most of their CycleOps Trainers. Included the link to their upcoming sales below. Found out from my LBS, since I was about to buy a bike rack, he suggested waiting a couple weeks. Yeah, Saris does that regularly, though they’ve never discounted more than 20% to memory. So I’d likely be a wash at best. Correct, one item per CT VIP account. You can still save the 10% back in points though per regular VIP usage on the Garmin products, fwiw. Heads up, just chatted with CT, the KICKR SNAP is excluded from the THANKSVIP discount due to manufacturer pricing restrictions. You can still get the VIP member 10% off though. Yup, I covered that one up above. The actual reason is simply there aren’t any Snaps available till summer. CT considered pulling them, but kept it for now as a placeholder. I gotta ask – given that the Radar Pace is the only item on your favorite deals pick list that *doesn’t* have a post, what’re your thoughts on it? I’m mixed on it. On one hand I like the tech integration and some of the concepts they’re doing. Yet on the other hand, I think for most of us (especially running), we’re still ‘stuck’ running with another GPS device (be it phone/watch/etc…), thus, it ends up being a bit of a duplicate thing in reality. My inclusion here was mostly on the basis of the fact that it’s somewhat of a unique item, let alone one to find on sale. Ray: Has Tacx finally resolved the issue on the “metal” noise on the Neo or have you still heard complaints about this issue? I don’t believe I’ve heard any new complaints in the last few months. Does the 20% discount also apply to items that aren’t currently in stock? I’m thinking about getting a Quarq DFour but it’s currently listed as “Special Order : Ships in 3 – 5 Weeks” on the Clever Training site. I don’t mind waiting 3-5 weeks as long as I get the discount. Any items – no need to be in-stock. As long as you’re happy to wait, they’re happy to hold your place in line. The Quarq DZero one of course being the biggie, mainly due to exceptional demand for Quarq. I talked a tiny bit about this last week or so in my Sea Otter power meter round-up. They just brought online a second production line, which should help here shortly. I’m taking this as a sign that it is finally time to pony up and buy a power meter. With the exception of the watteam (fair or not, the pods hanging off under the pedals make me nervous) dual sided is not in my budget. After all my research I have come down to two final options that I am trying to choose from, I respectfully request your two cents to break the tie Ray. Do I go for a stages crank power meter and just live with the fact that it is reading left only and will never be a dual sided PM, or do I spend a little more and get the Powertap P1S so that I can upgrade down the road (once an upgrade is released)? I don’t change bikes often, if ever, so I would be choosing the P1S purely for the upgradability. I will say this – while I love my P1s, really, the portability is not that big of an upside given the cost. With PMs coming down in price, you can get two PMs for for two separate bikes for the price of one set of dual-side P1s, and even a cheaper single crank-based PM right now for below the cost of the single-side P1s. Again, I love them, but in the long run it will probably be a better option to buy two PMs if the main upside of the P1s for you is portability. Plus you’ll never have to worry about swapping them out or worrying that you don’t have the right cleats if you forgot to bring the P1s. I appreciate the input Patrick, thank you! The portability is actually almost a non-issue for me. While I regularly dream of a tri bike, daycare bills have put a long term hold on that dream, lucky for me I absolutely love my road bike. So I have almost no reason (aside from renting a bike while traveling) to have a portable PM. My biggest reason for considering the P1S is that I can start out with a single side PM, but have the ability to upgrade to a dual side later. Where as if I go for the Stages I’m stuck with single side for the life of the PM. It’s possible I won’t care that I only have single side power, in which case I would not bother to upgrade the P1S, and I would have wasted my money buying them over the Stages PM, I just tend to get obsessed with future proofing as much as possible (the down side to being a frugal yankee…aka cheap skate). Totally get it. I just wanted to share because I have a bit of buyer’s remorse, only because I was paying for portability in getting mine and it turned out to not be as great a feature as I was hoping. Yes, you can move them bike to bike, but it’s also a little bit of a pain. I wish I had spent the money to get two PMs, one for each bike. Your approach makes sense if upgradebility is the key factor. What makes swooping the P1s a bit of a pain Patrick? I swop mine lots and can so it in around a minute with one Allen key. “It’s a little bit of a pain” is really me just grousing. It’s actually very simple and you’re right it doesn’t take much time at all. But it’s greasy, I have to bend over or kneel on the ground and futz with the pedals, if I’m taking them off a bike I have to replace them with my other pedals so there’s something on the bike, I have to make sure I remember to do it AND bring the right shoes since my other pedals aren’t compatible, etc. I guess I could solve this by ONLY having them as as option since it’s the uninstalling/reinstalling my non-P1s as part of moving the P1s that adds complexity to the issue, but then if I forget to bring them for some reason, I have *nothing* on my bike, which is a sure way to ruin a planned ride (I often drive to cycling spots). Indeed, copy-paste fail in my tables by me. Fixed, sorry! Bummer about all the restrictions. The only thing I really want right now is an HRM-TRI. No sale. Hmm, odd, I’ve just sent a note over to see if there’s something up. Sorry about that! They already responded and are trying to sort it out. At first glance they can’t repro what you’re seeing, but have tech teams digging deeper as we speak. I may connect you behind the scenes to them if they can’t figure it out in the next few hours. If it helps, I tried both Firefox (with a few ad-blocking and other third-party-script-blocking add-ons) and Chrome (without any add-ons), and got the same result both times. Heads up! The Manufacture Delay for the 4iiii Power Meters are 3-8 weeks. For $320 though, hard to beat! Ray, in your initial sidebar announcement you said VIP membership is $4.99, but the CT cart lists it as $9.99. If you go from this link here for DCR VIP readers, it’ll be $4.99. Just purchased P1 pedals. Awesome discount. I have not seen anything better so far online or in store. Just laid down $800 for Vector 2 dual side. Amazing price, almost 50% off from last years retail price. Thanks Ray. 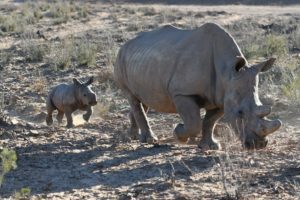 Will CT be doing this sale again this year? Starts May 14th this year…mark your calendars! I am holding out for the exact same reason. Either for Assiomas or P1’s.